It is very exciting to be running this Gardening/Travel Journal class at the lovely new Lodge Flower and Craft School in Hemingford Grey where booking is now open. 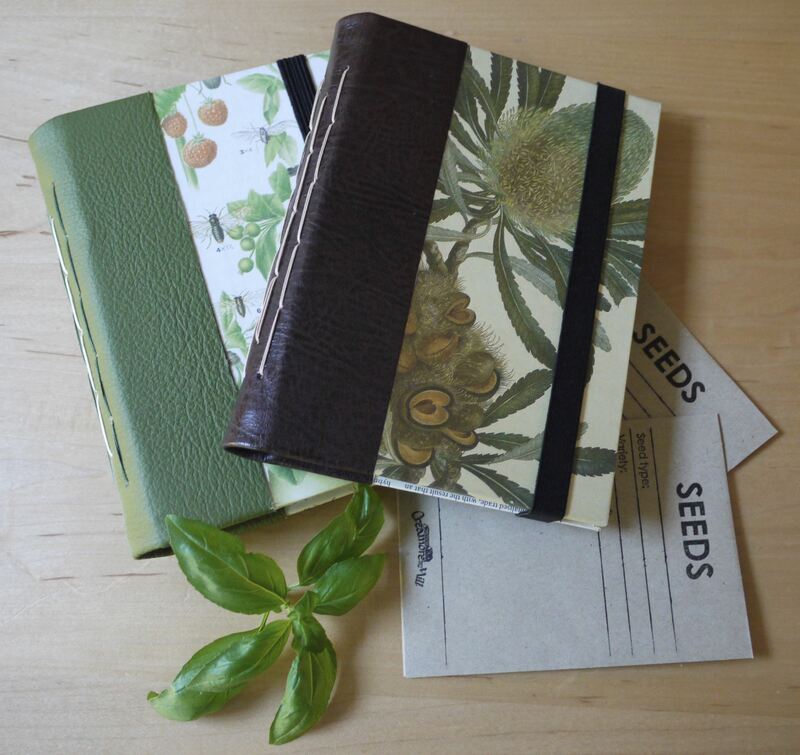 During this one day workshop you will learn to make a ‘washable paper’ binding (this is a vegetarian friendly leather alternative) and have the opportunity to construct your own refillable gardening or travel journal with papers, envelopes and pockets to suit you or it’s lucky recipient. Lots of appropriate cover papers will be available but if you have a special one in mind, please bring it along.